Turns out there might actually be more planets out there that could potentially support extraterrestrial life, precisely because these planets aren’t as hot as scientists thought. Before, scientists assumed that the more elliptical a planet’s orbit is, the higher the planet’s average temperature will be since it’s getting with a lot more energy during its closer flybys. But in a study published Thursday in The Astrophysical Journal Letters, a team of researchers from the Planetary Habitability Laboratory and the Arecibo Observatory in Puerto Rico found that this is not always the case — those planets may actually exhibit cooler surface temperatures more amenable to habitability. 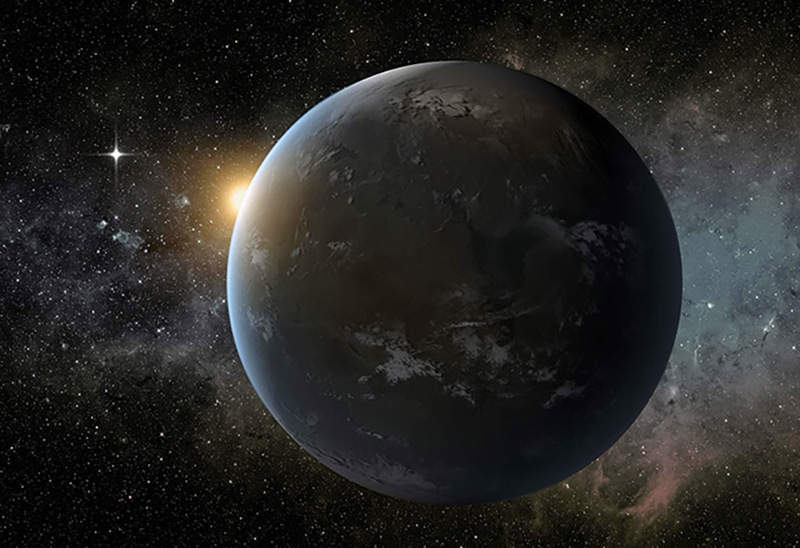 A star’s habitable zone is where temperatures and conditions are thought to be most opportune to support liquid surface water, necessary for life to evolve. Planet’s with elliptical orbits are sometimes thought to move in and out of this zone — too inconsistent to support stable conditions for life. The new results suggest it’s possible they may possess the right temperatures to support water and even life. “Since many planets are in an elliptical orbit, it would be applicable to many objects,” Abel Méndez, a Planetary Astrobiologist at the University of Puerto Rico at Arecibo and lead author of the study, tells Inverse. He and his research team created climate simulations of Earth-like planets that have elliptical orbits, which hinted at the cooling effect. According to Edgard Rivera-Valentín, a planetary scientist at the Arecibo Observatory and co-author of the study, if scientists followed previous models, Mars, which has an eccentric orbit, should have an equilibrium temperature of about -43 degrees Celsius. In reality, it’s -63 degrees, closer to the model his team came up with. This is colder than scientists previously would’ve expected. Earth also has an elliptical orbit, but its orbit is nearly circular, and this cooling effect doesn’t really affect planets with nearly circular orbits. In the future, the research team plans to work on a paper focusing specifically on planets in habitable zones. And who knows — planets like the ones orbiting red-dwarf star Wolf 1061 or even exomoons around Jupiter-like planets might actually be ideal places for aliens to evolve. “The outcome would be to understand the climate of many planets, not just those that are habitable, and also evaluate whether some are habitable and some are not,” Méndez says. Abstract: There exists a positive correlation between orbital eccentricity and the average stellar flux that planets receive from their parent star. Often, though, it is assumed that the average equilibrium temperature would correspondingly increase with eccentricity. Here we test this assumption by calculating and comparing analytic solutions for both the spatial and temporal averages of orbital distance, stellar flux, and equilibrium temperature. Our solutions show that the average equilibrium temperature of a planet, with a constant albedo, slowly decreases with eccentricity until converging to a value 90% that of a circular orbit. This might be the case for many types of planets (e.g., hot-jupiters); however, the actual equilibrium and surface temperature of planets also depend on orbital variations of albedo and greenhouse. Our results also have implications in understanding the climate, habitability and the occurrence of potential Earth-like planets. For instance, it helps explain why the limits of the habitable zone for planets in highly elliptical orbits are wider than expected from the mean flux approximation, as shown by climate models.